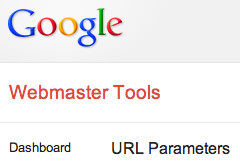 There is a bug in Google Webmaster Tools right now where you cannot add, edit or delete URL parameters within the interface. The issue started Thursday, January 24th and was reported in two different Google Webmaster Help threads. When you access the interface to manage your URL parameters in Webmaster Tools, the buttons to edit or delete or even add parameters is simply not there. Thanks for posting. It looks like the buttons have gone missing for you there, sorry! I'll check with the Webmaster Tools team to see what we can do about that. There is no ETA for a fix. Previous story: BingBot Crawl Activity Surging?